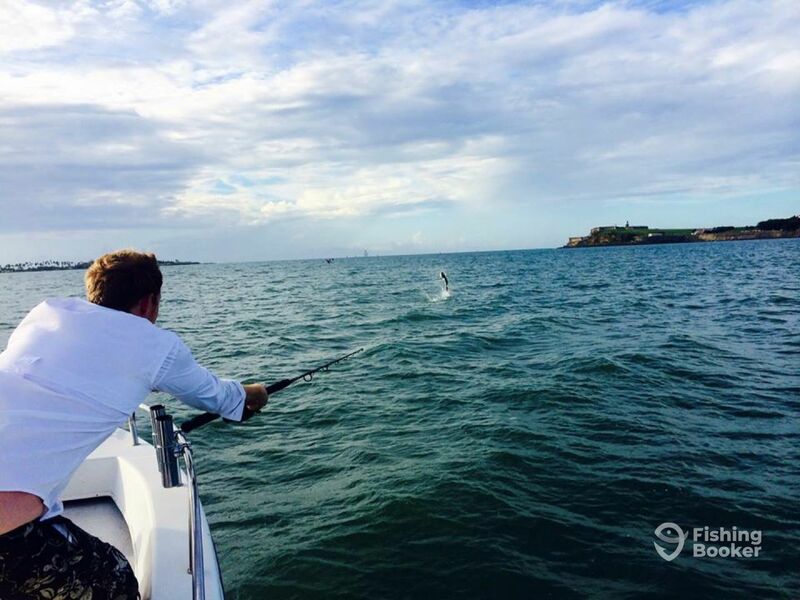 March 11, 2015 by Luis Umpierre Jr. and Luis Umpierre Sr.
Today was a slow day for us at the bay with just a couple of bites and caught a small tarpon! Other charter boats had slow activity as well. That is fishing guys! Not all fishing days are good! That is why we love so much the sport! Every day is a different challenge! Looking forward for our next fishing trip tomorrow. This rain makes the tarpon very active!